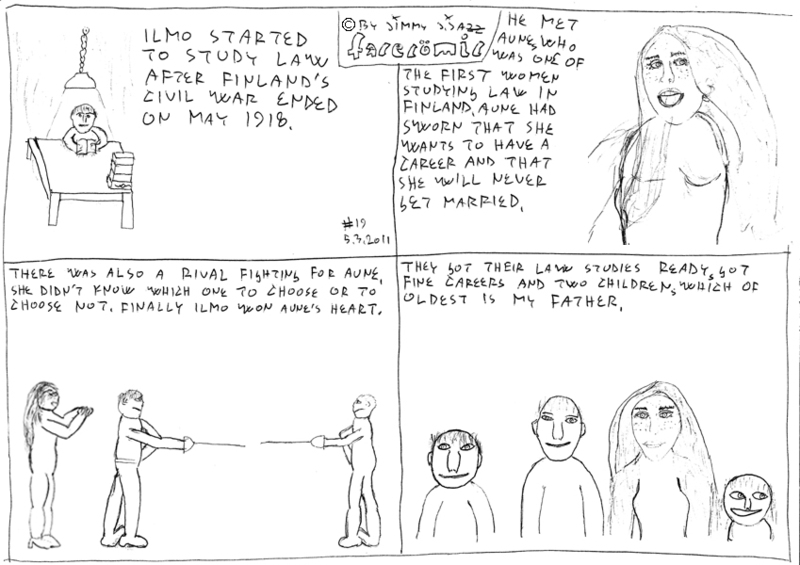 Ilmo started to study law after Finland's civil war ended on May 1918. He met Aune, who was one of the first women studying law in Finland. Aune had sworn that she wanted to have a career and that she will never get married. There was also a rival fighting for Aune. She didn't know which one to choose or to choose not. Finally Ilmo won Aune's heart. They got their law studies ready. They both got fine careers and two children, which of oldest is my father.